If your card has been lost or stolen and your card provider claims you've been negligent, follow our step-by-step guide to get your money back. Does your bank treat you fairly when things go wrong? 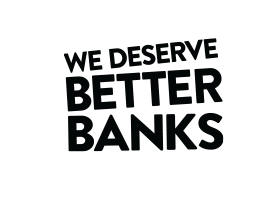 We think you deserve a better service from your bank. Notifying your card provider of your lost or stolen card as soon as you realise will ensure you're not liable for someone else using your card after that point. Your card provider will cancel your card and will be able to see if there have been any unauthorised transactions up to the point you reported it missing. Send your provider any information it asks for so that it can investigate the fraudulent use of your card. You can use this letter template to ask for a refund if your card is stolen. If your card provider disputes that the transaction was unauthorised, ask for your dispute to be escalated through the card provider’s internal complaints process. If your provider’s decision is final, then ask it to issue you with a final letter of deadlock so that you can refer your dispute to the Financial Ombudsman Service (FOS). If your card provider suggests that you should have taken more care to protect your card or PIN, or suggests you've acted fraudulently or that you've been grossly negligent, make the point again that this is for your provider to prove. You don't have to prove that you haven't been negligent or fraudulent - your provider must prove that you have been. If your card provider is still insisting that you've been negligent or fraudulent and won't refund your money, you can take your claim to the Financial Ombudsman Service. The FOS has a form where you can complete and submit a claim online. The FOS will consider all the circumstances around the transaction and may ask you to supply additional information to help it make a decision. Once it has considered the claim, the FOS will make a decision. The decision is binding on the card provider but not the consumer so you are free to take your claim to the small claims court if you're not satisfied with the outcome. You should think carefully though, before you start court action and consider whether a judge is any more likely than the FOS to find in your favour. Even in small claims, you could be liable for court fees and some other expenses if your claim is unsuccessful.